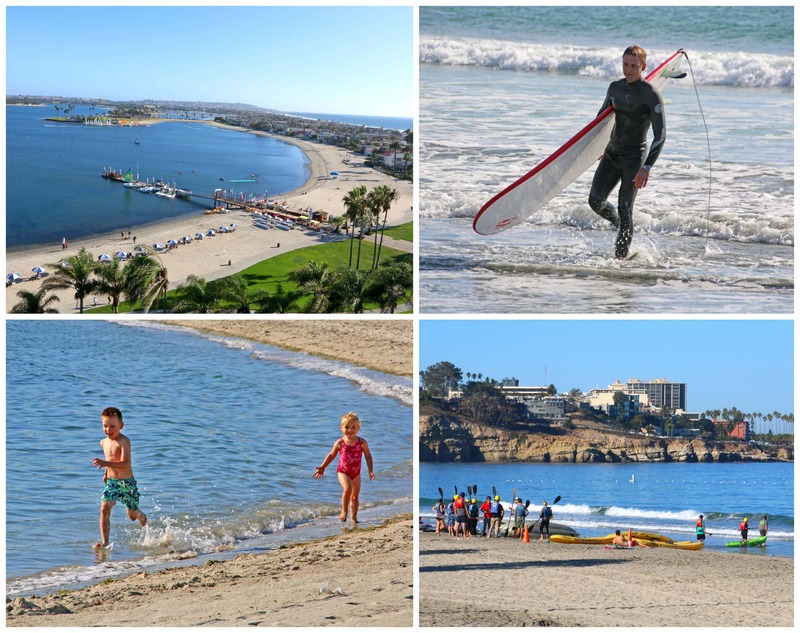 I’ve teamed up with Visit San Diego to bring you this post. All opinions are entirely my own. 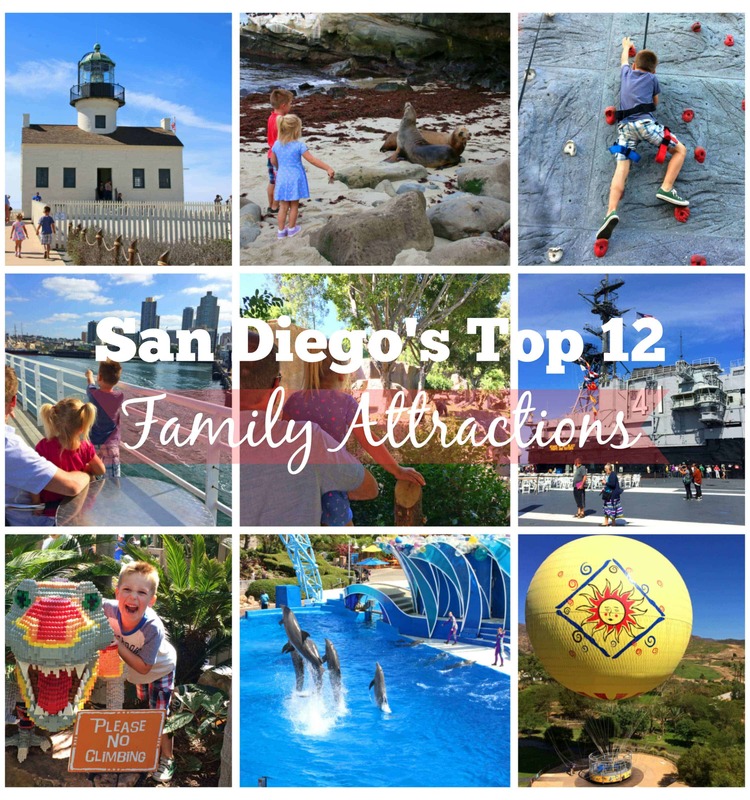 San Diego has consistently been ranked among the top best family destinations in the United States and just this year was ranked the #1 Travel Destination in the nation by Money magazine. Having just come back from our second family vacation to San Diego that comes as no surprise to us. Both times we carefully scoped out the things we wanted to do and see, both times we had a jam-packed itinerary, and we still have a long list of things we want to experience there. More San Diego family vacations on our horizon? You’d better believe it. San Diego has it all: America’s #1 rated beaches, zoos, aquariums, theme parks, amusement parks, water parks, public parks, golf, historic sites, over 50 museums, top-rated restaurants, shopping, theaters, annual fairs and festivals, sports stadiums, caves, wildlife, scenic drives, biking, surfing, kayaking, boating, paragliding, scuba diving, horseback riding, hiking…and the list goes on. 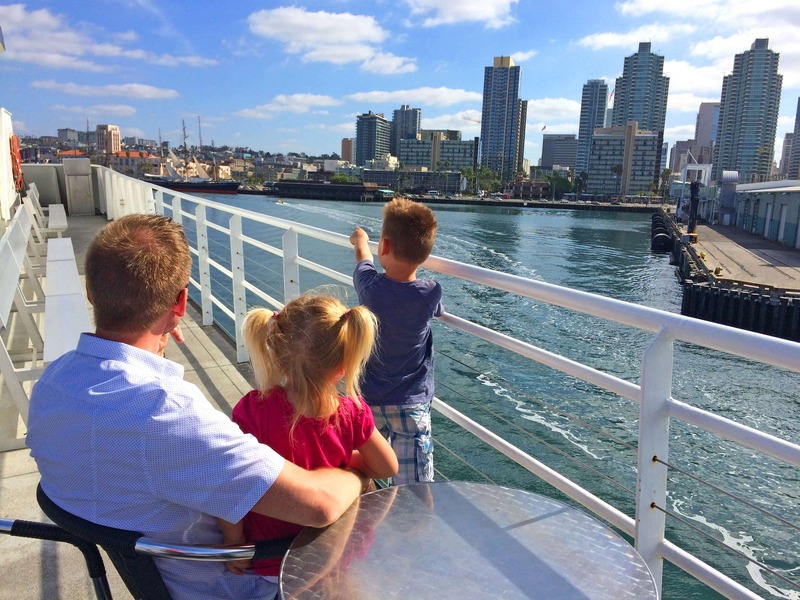 Especially great for families, San Diego is probably the most family-friendly city we’ve visited. What other city welcomes kids to enjoy free admission to over 100 attractions for an entire month out of every year? This is the second time we’ve taken advantage of October’s Kids Free Month and when it comes to best value vacations, San Diego takes the cake. Every October kids up to age 18 enjoy free admission to over 100 attractions, including the major theme parks, zoos, aquariums, museums and even enjoy complimentary restaurant meals and welcome amenities at area hotels. 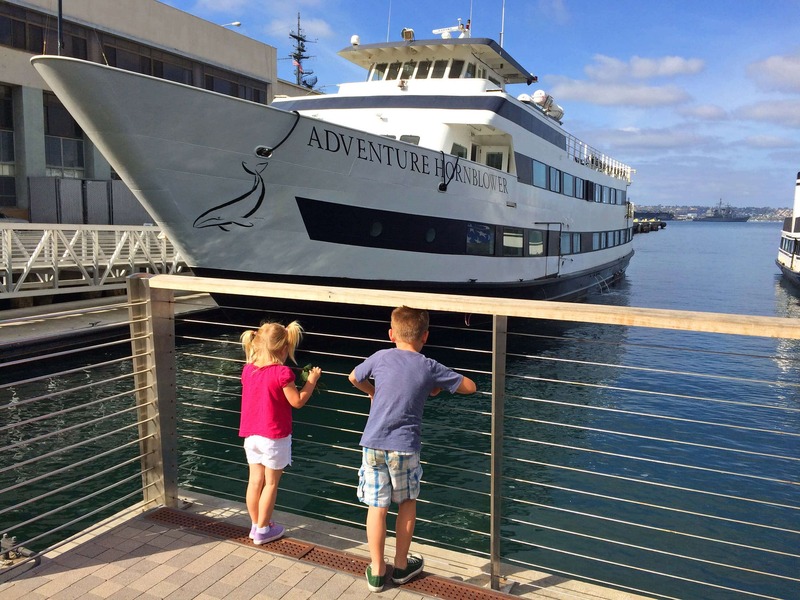 Here are our Top 12 Family Attractions in San Diego with some additional family-friendly hotel and restaurant recommendations! A Traveler’s Choice winner for the #1 zoo in the world in 2015, the San Diego Zoo houses over 3,700 animals of more than 650 species and subspecies, making it one of the largest zoos in the world. And it’s celebrating it’s 100th anniversary this year. The zoo spans 100 acres, so wear comfortable shoes for walking. Transportation is available throughout the zoo with both a guided bus tour and a bus line that allows you to jump on and off as you please at various stations. 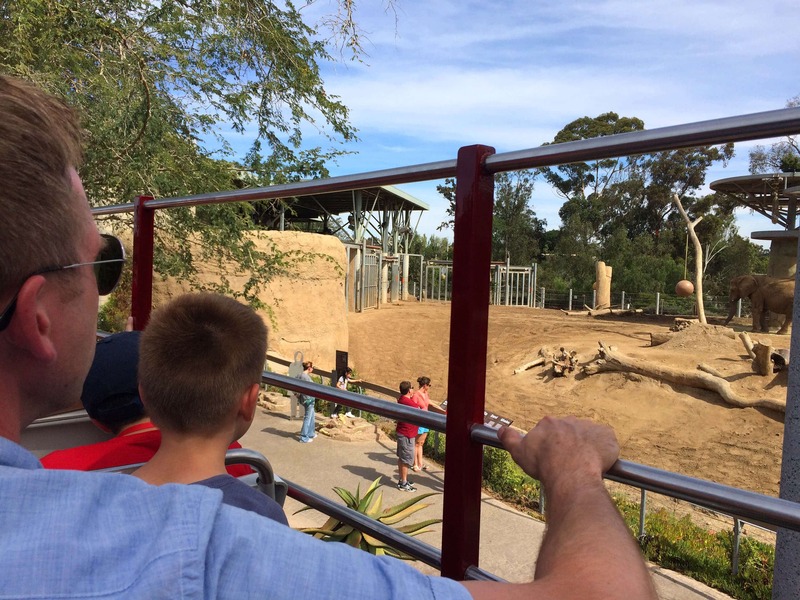 We took the guided bus tour this time and recommend it as a good way to get an initial overview of the zoo before you explore it up close and personal on foot. For a scenic aerial view of the zoo be sure to ride the Skyfari cable cars. Food is available at the zoo but you’re allowed to bring your own which is a great option for saving money, especially if you’re visiting with kids. Either pack a light lunch in your backpack or leave a cooler in your car – get your hand stamped and you can come and go from the zoo as you please. Bathrooms are located around the zoo along with water fountains but you’ll want to bring plenty of bottled water with you. 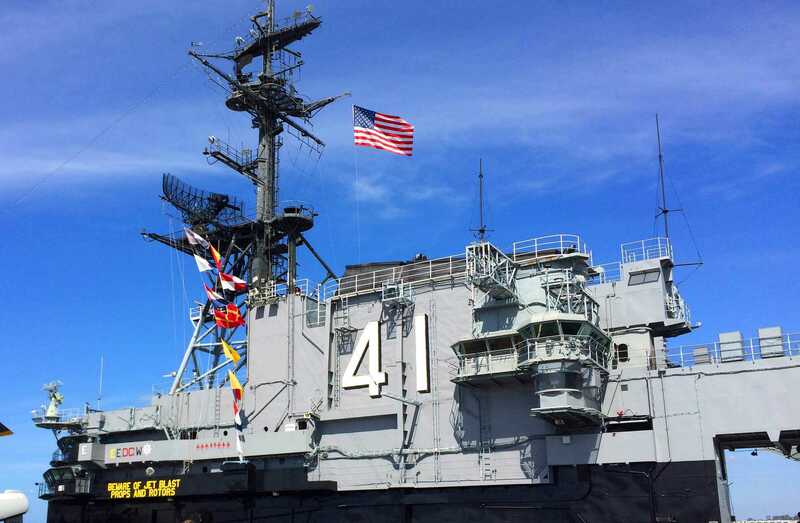 Ranked San Diego’s #1 tourist attraction on TripAdvisor with over 1 million annual visitors, this maritime museum features the USS Midway, America’s longest-serving aircraft carrier of the 20th century, from 1945 to 1992 with about 200,000 sailors having served aboard it. Admission includes a self-guided audio tour narrated by former Midway sailors and takes you through over 60 exhibits and 29 restored aircraft. Explore the engine room, machine shops, sleeping quarters, pilots’ ready rooms, the ship’s jail, galley, bridge, post office, officer’s country, brig, primary flight control, climb-aboard aircraft and cockpits, flight simulators, “Ejection Seat Theater,” and more. 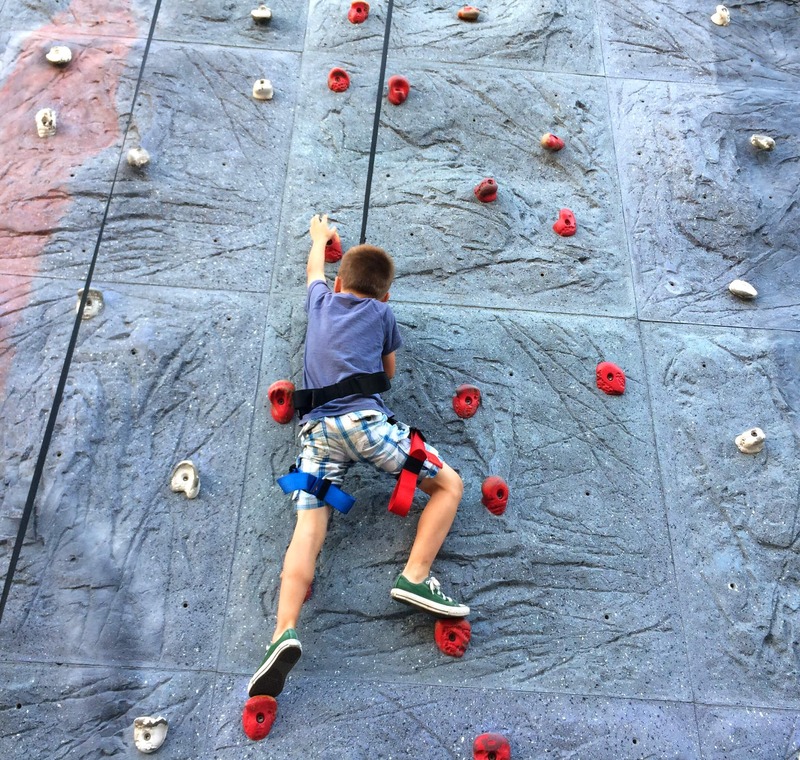 A perfect combination of fun and education, there’s something here for the entire family. Just steps from the beach, this historic oceanfront amusement park combines the nostalgic feel of yesteryear with the adrenaline of today. You’ll find a variety of classic carnival rides along with the contemporary options of a zip line, sky climb, laser tag and the WaveHouse. 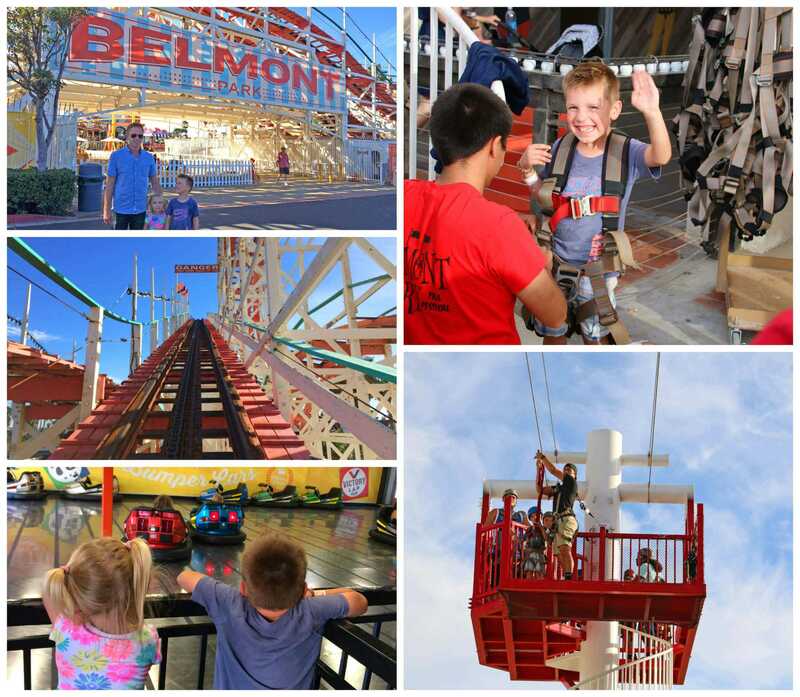 First opened in 1925, Belmont Park also features the historic Giant Dipper roller coaster, one of only two remaining ocean-side roller coasters on the West Coast. There are a variety of food options including the largest oceanfront rooftop bar and restaurant in San Diego. With free parking and admission you can simply enjoy the atmosphere, get some food, pay for a couple of rides, or you can get a combo wrist band that gives you unlimited access to the rides. Considered the “jewel” of San Diego, La Jolla is one of the most sought-after vacation destinations in Southern California. One of its top attractions is its picturesque Cove surrounded by cliffs and protected as part of a marine reserve. Famous for its underwater marine life, it’s a popular spot for swimmers, snorkelers and scuba divers. It’s also renowned for its large population of sea lions that you’ll often find basking on the rocks along the beach or sprawled out on the sand. Outdoor showers and public restrooms are available and a lifeguard is always on duty from morning until sunset. Free public parking is available along the street but is extremely limited. There are also paid parking garages within walking distance. The Hornblower offers a variety of cruise options, including dining and sightseeing cruises of varying lengths of time to fit your schedule. 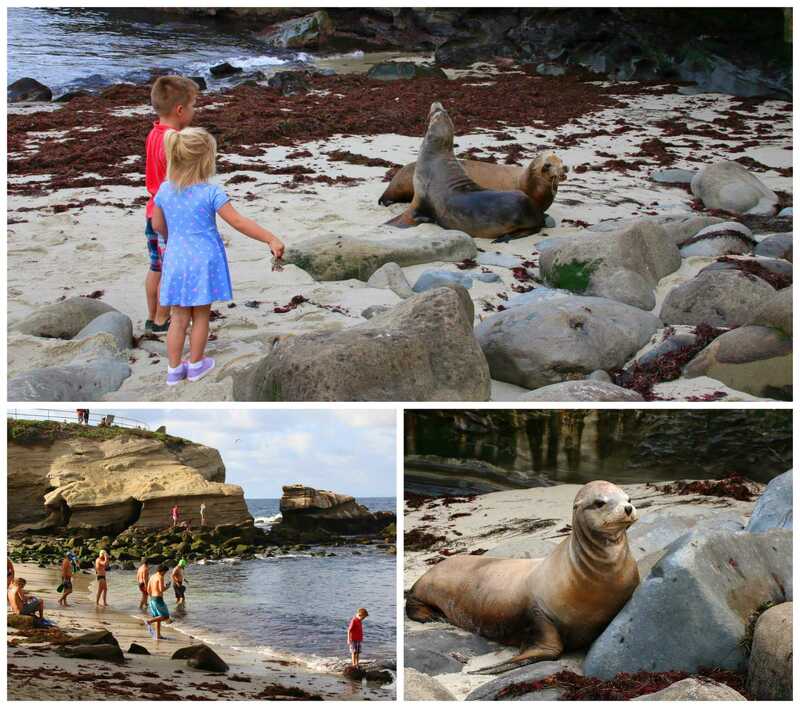 Guided tours combine sightseeing and wildlife watching that are fun for the entire family. You’ll see more than 50 San Diego landmarks, cover 13 miles on the Big Bay, and enjoy plenty of photo opportunities. Indoor and outdoor seating is available along with a snack bar serving beverages, hot and cold snacks (no outside food allowed). 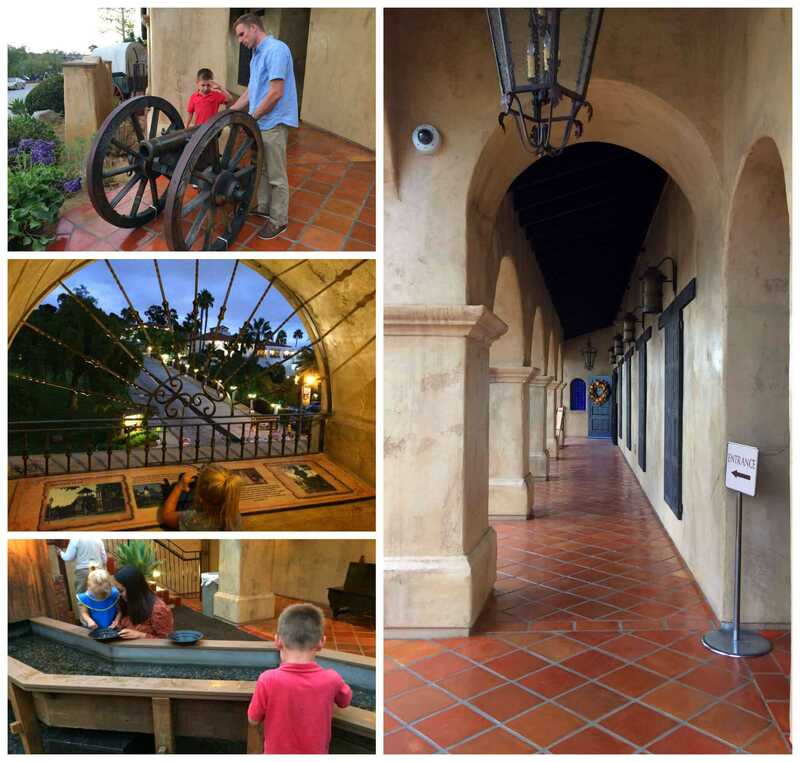 Rated among the top 25 sites in San Diego on Trip Advisor, this newly remodeled, beautiful building in Old Town presents the history of the Mormon Battalion in San Diego in a well thought out way with interactive, hands-on exhibits and fun, good-humored media presentations. It’s a nice visit for anyone interested in history and architecture and is especially geared towards kids, including an opportunity at the end to pan for “gold.” Admission is free and you can get an old-time photo taken of your family and your kids get to leave with some of the gold nuggets they panned. Be sure to climb the stairs to the top for some great views overlooking Old Town. 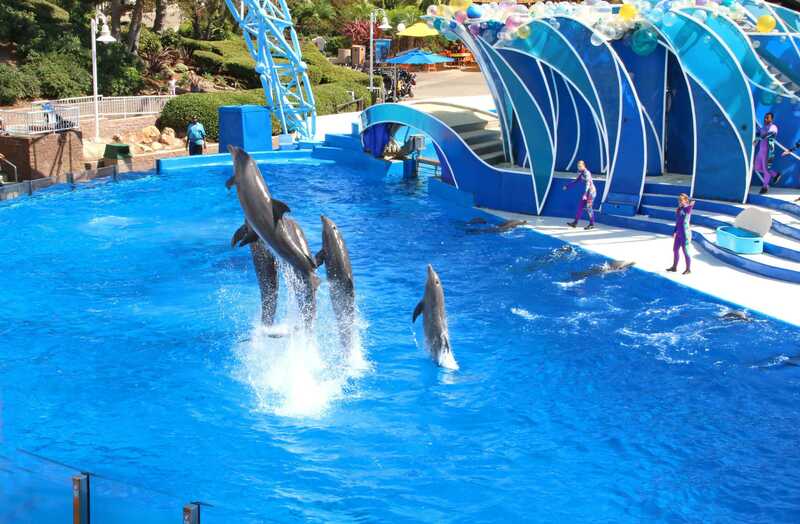 In operation for over 50 years, SeaWorld San Diego was the first SeaWorld park to open its doors and provides up close and personal views of sea life and mammals including a variety of daily scheduled shows. Kids will especially love the hands-on Aquaria Touch Pool and the one-of-a-kind manta grotto where they can touch and interact with the sea creatures. In 2007 it also opened Aquatica, a water park featuring rides for the whole family. This historic 1,200-acre urban cultural park was placed in reserve in 1835, making it one of the oldest parks in the United States dedicated to public recreational use. 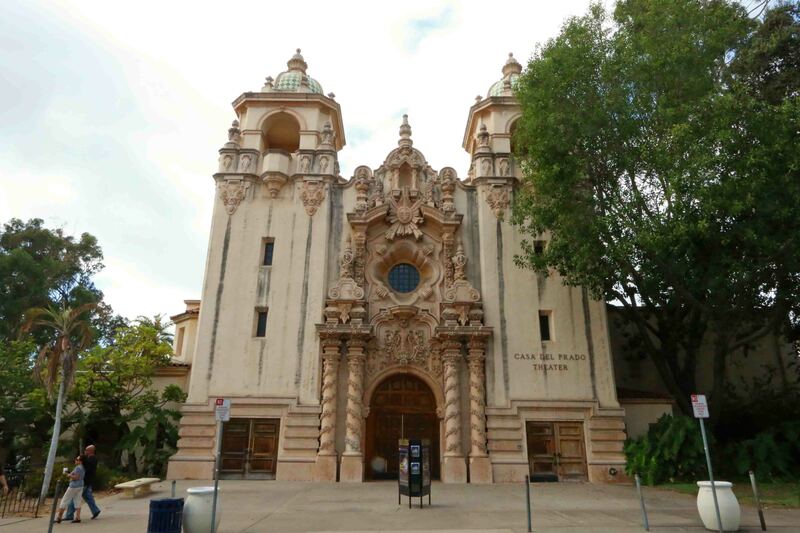 Featuring architecture of the Spanish Colonial Revival, Mission Revival, and Pueblo Revival, Balboa Park boasts 15 major museums, renowned performing arts venues, beautifully manicured gardens and the San Diego Zoo. Of particular interest to families with kids is the San Diego Natural History Museum, the second oldest scientific institution west of the Mississippi and featuring some great animal and dinosaur exhibits. 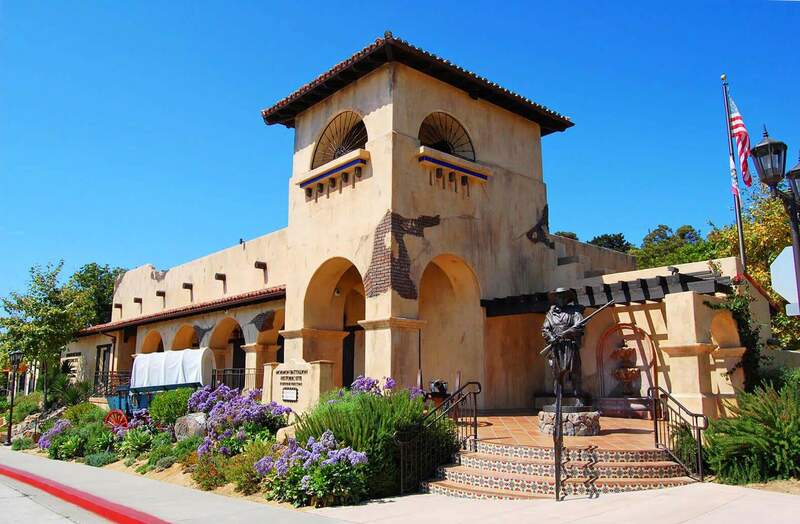 Among Balboa Park’s many other museums are the Air & Space, Automotive, and Model Railroad Museums. 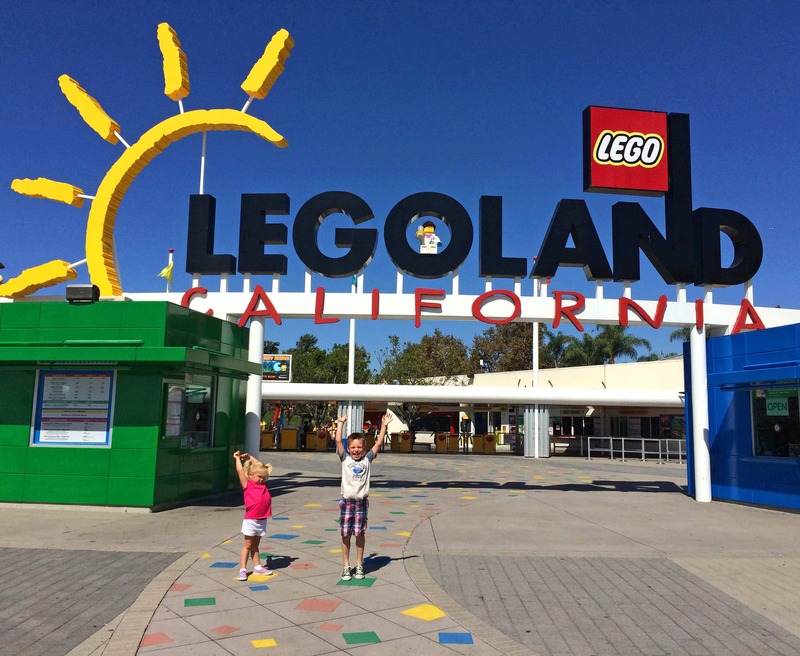 The San Diego LegoLand was the first to open outside of Europe and features over 60 attractions as well as an aquarium. 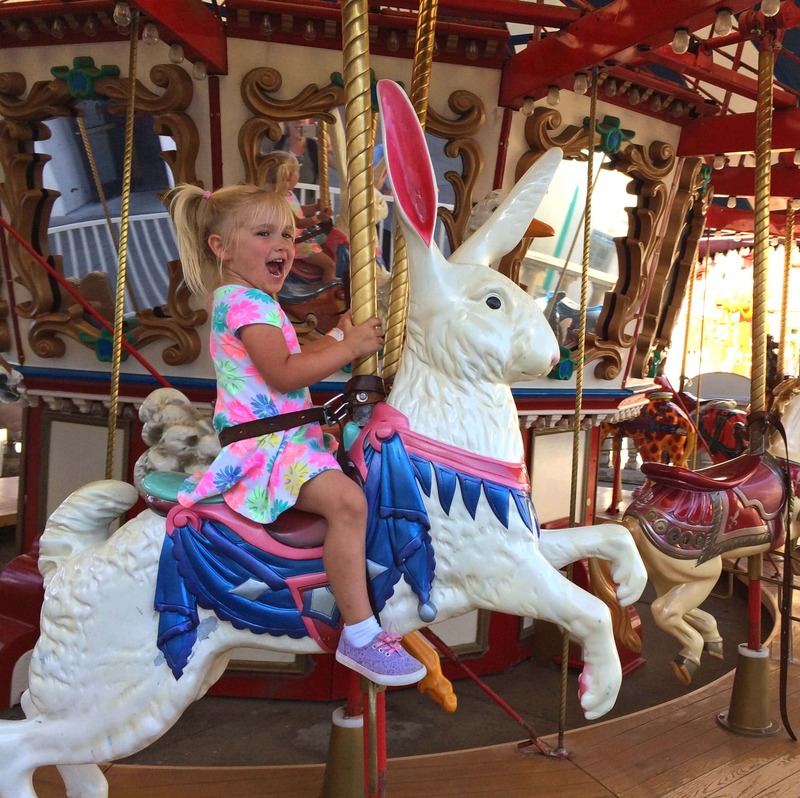 Though advertised as being geared towards kids ages 2-12, in our opinion it’s better suited to ages 4-10 as most of the rides won’t hold much interest for older kids and, because of height restrictions on the rides, most younger kids won’t be able to access the majority of the rides. Our 4 1/2 year old daughter was only able to ride a small percentage of them and even our 6 year old son, who is tall for his age, was unable to ride some of the more popular ones. LegoLand also has a large variety of themed play areas well-suited to even the youngest children. Lego lovers will appreciate all the displays and characters built out of millions of Lego’s throughout the park. LegoLand also has a water park and while you cannot purchase separate tickets for the water park, a few bucks more will buy you a hopper ticket that will give you access. 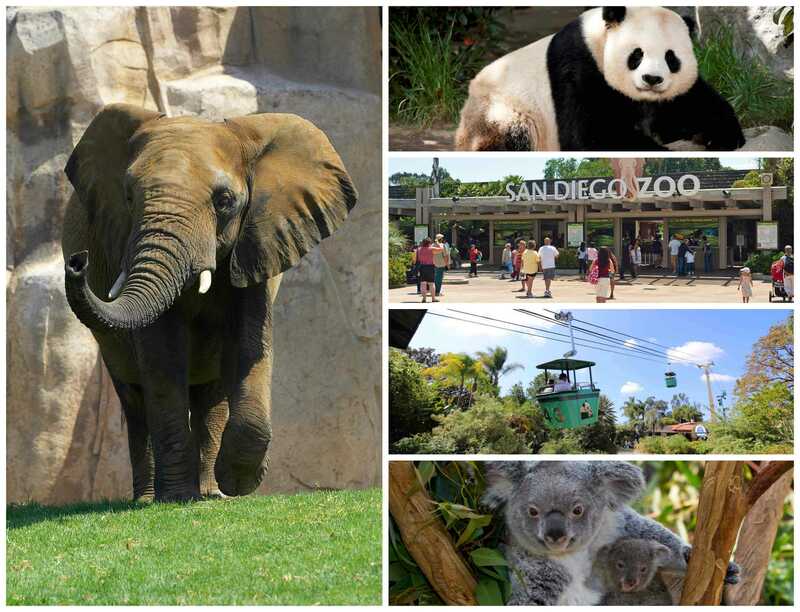 One of San Diego’s most popular tourist attractions, Safari Park attracts over 2 million visitors annually. This 1800 acre zoo set in the semi-arid environment of the San Pasqual Valley houses over 2,600 animals representing more than 300 species, and over 3,500 plant species. It features a large variety of wild and endangered animals from the continents of Africa, Asia, Europe, North and South America, and Australia. Safari Park also has the most successful condor breeding program in the nation and has the world’s largest veterinary hospital. The Safari Park is navigable by foot only but its popular Africa Tram explores the expansive African exhibits portion of the park. 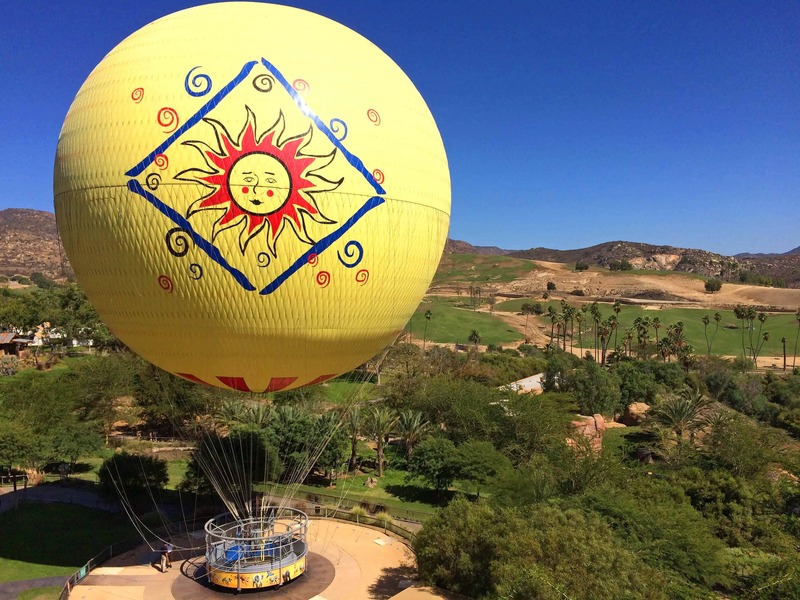 Other attractions include the Conservation Carousel and the Balloon Safari that rises 400 feet in the air, providing beautiful views of the park’s grounds. Located at the southern tip of the Point Loma Peninsula, the monument commemorates the landing of Juan Rodriguez Cabrillo at San Diego Bay in 1542 and the visitor’s center features exhibits along with a film about the expedition. The park offers beautiful views of San Diego’s harbor and skyline, as well as Coronado and Naval Air Station North Island. 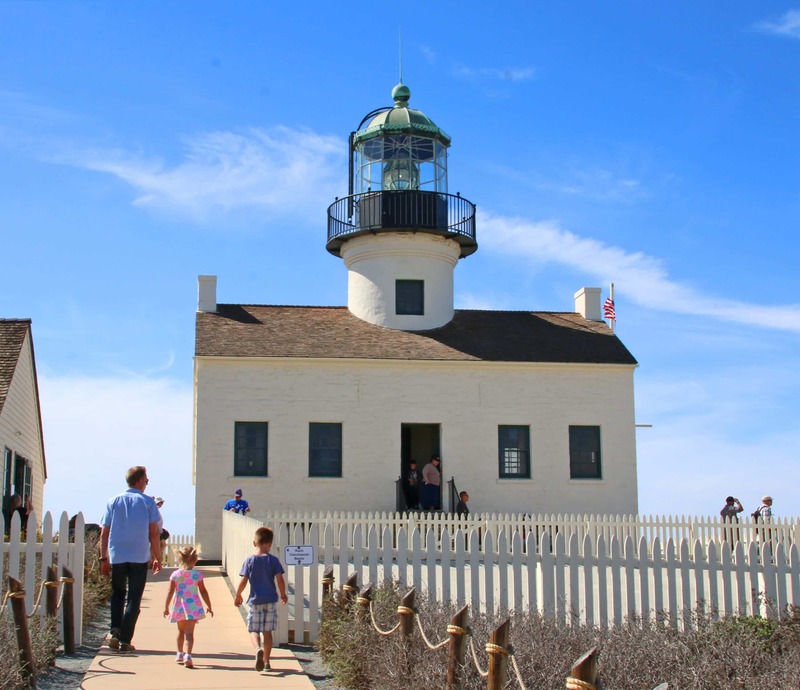 The Old Point Loma Lighthouse has been a San Diego icon since 1855 and its admission is included in the park’s parking fee. Where in the United States can you find better beaches and with nearly perfect year-round weather than in southern California? Whether it’s Coronado Beach (ranked #1 in America), La Jolla, Mission Beach or several others, you can get your fill of prime beach time. On this most recent trip we stayed La Jolla and Mission Bay. 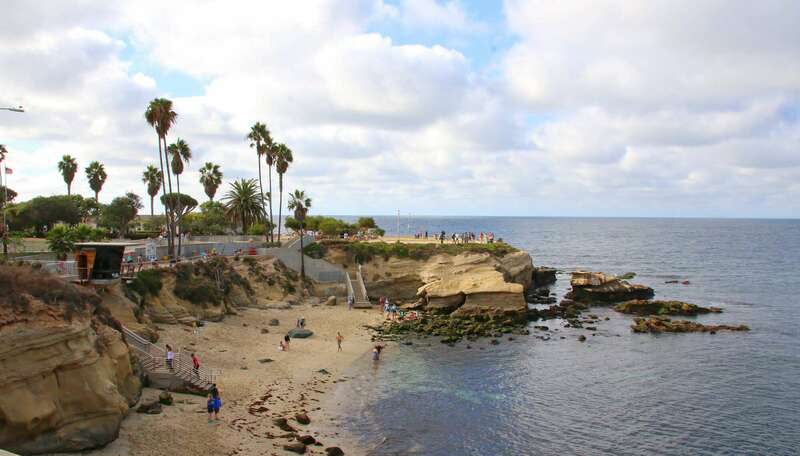 La Jolla is a top destination for snorkeling, scuba diving, kayaking, hang gliding and paragliding. Mission Bay, the largest manmade aquatic park in the world boasting 27 miles of meandering shoreline, offers tranquil waters, soft sand beaches and a ton of year-round recreational activities. On our most recent trip to San Diego we stayed at two very family-friendly beachfront hotels that offer close access to all the major attractions. 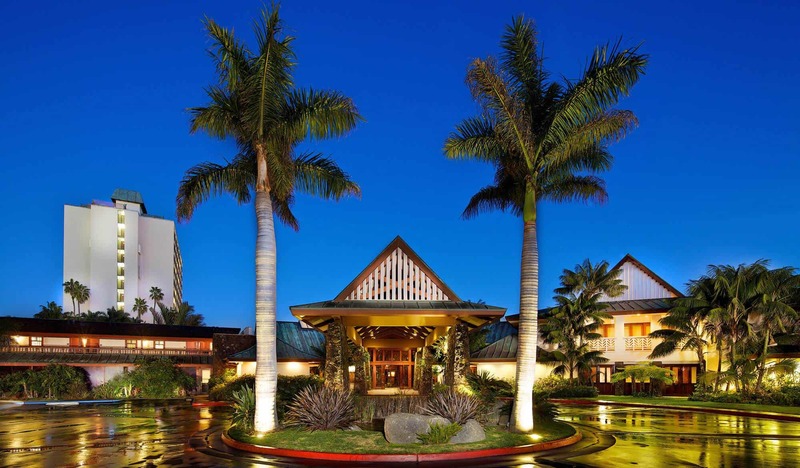 Experience the water playground of Mission Bay in this beachfront Polynesian-themed resort. The dining options, Moray’s and the newly opened Oceana Coastal Kitchen boasting bay front dining, provide a comfortable tropical outdoor setting overlooking Mission Bay and come complete with tiki torches, fire pit tables, lush palms and a stream with colorful fish. Amenities include an outdoor pool and jacuzzi and the Catamaran Spa & Fitness Center. 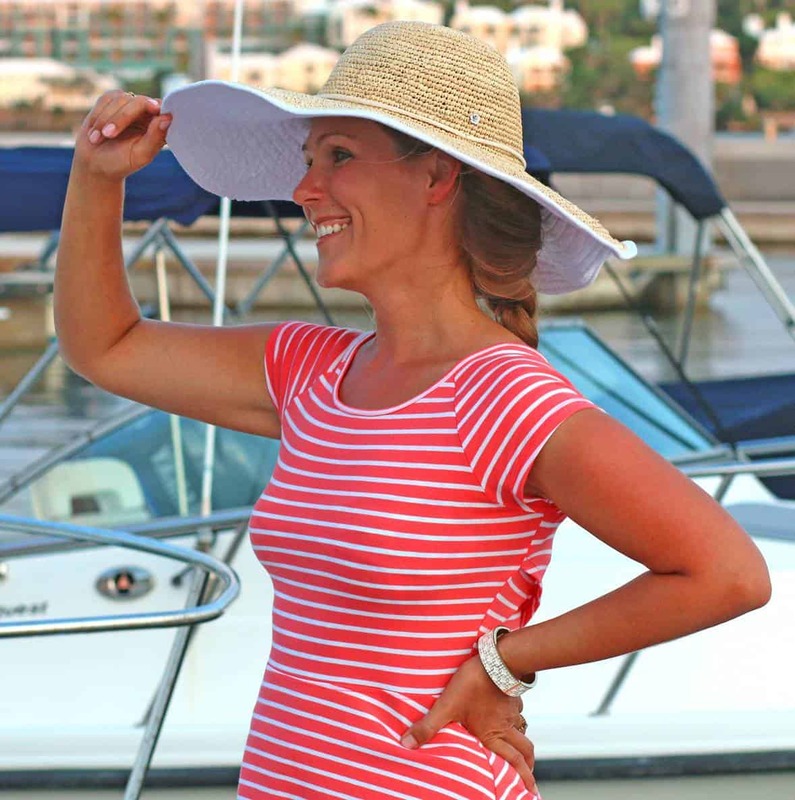 Activities include the hotel’s daily parrot show, a large variety of water sports and bike rentals, and a complimentary family-hour and cocktail cruise on the famous Bahia Belle sternwheeler. 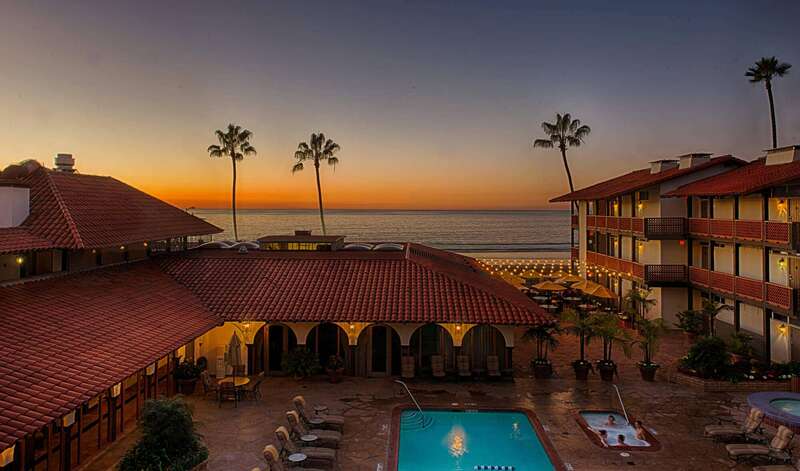 This Spanish-style hotel is nestled right on the ocean in the popular community of La Jolla right next to Kellogg Park. The hotel shares public access to the beach and there’s a playground for kids right next to the hotel. Amenities include complimentary shuttle services within the La Jolla area, free courtesy set up and use of beach chairs, umbrellas and towels, an outdoor pool, jacuzzi and sauna, fitness center, and private tennis courts with lessons. Dining options include The Shores Restaurant, the award-winning picturesque Marine Room, and the option of a Beach BBQ Cookout. San Diego is renowned for its dining and there is no shortage of great restaurants. For family-friendly restaurants in particular, our favorites include Casa Guadalajara in Old Town for a friendly atmosphere and the best Mexican food, Bali Hai Restaurant on Shelter Island for Polynesian food and breathtaking water views, and Corvette Diner in Liberty Station for a 1950’s retro experience where the music, arcades and laughter are loud enough to drown out your raucous, energetic children (ie, a stress-free dinner, parents!). To plan your ultimate family vacation and for a wealth of information about the city, its attractions, a calendar of events you won’t want to miss as well as information about participants of October’s Kids Free Month, be sure to visit San Diego’s Official Travel Resource. The San Diego tourism authority arranged for our passes (our kids were free as part of October’s Kids Free Month) and we were kindly hosted by the Catamaran Resort Hotel & Spa and La Jolla Shores Hotel. I was not compensated for this post and all opinions are entirely my own. I was stationed in San Diego in the 80’s. It’s a beautiful city. So much to do there. I’d love to go back one day. I have heard that zoo is the best! I’d love to visit San Diego! Looks like such a fun place to visit!! I love San Diego! We had such a great time at LegoLand a couple years ago and can’t wait to go back. 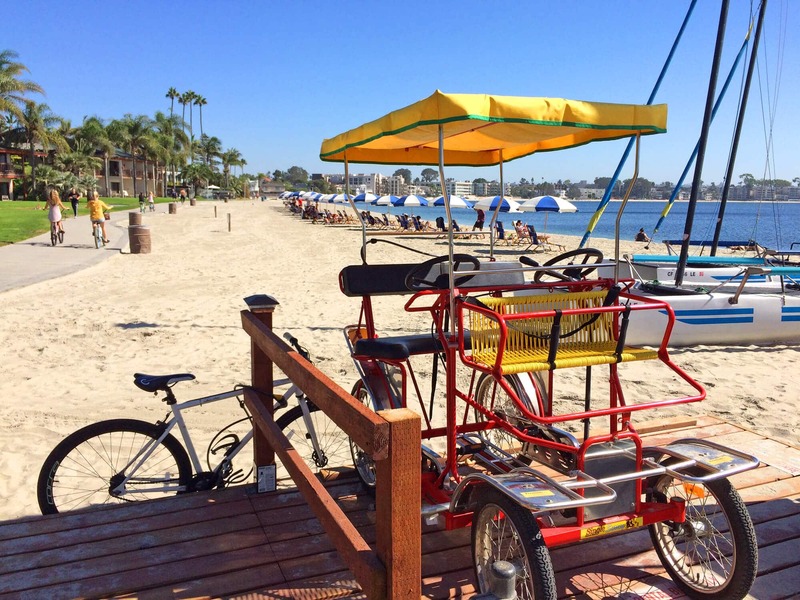 Great tips on San Diego attractions! I love visiting the city especially because of all the good food in the area! It looks like you had a great time! We love San Diego, so beautiful and the weather is incredible. Thanks for sharing. My two kids would absolutely love going here!! I still fondly remember visiting the San Diego Zoo as a child! I’ve never been to San Diego but it looks fantastic for a family! I’ve been wanting to visit the aquarium and zoo in San Diego for as long as I can remember. I had no idea there was so many other family friendly things to do in the area. Might need to be one of our family vacation desitinations! This is so helpful. We plan to come over school break to tour colleges in So Cal. Thank you! San Diego is on my bucket list!! So many great ideas! You know I’ve got to get to those beaches! I really need to visit San Diego!! It looks like an amazing place! So many great spots! I just loooove San Diego, and it’s only a 6-hour drive for me! I can’t believe I’ve never been to the Mormon Battalion. It’s on my list for next time! San Diego is such an amazing city, but I haven’t spent time there for years. I’m bookmarking this post for when we take the kids (hopefully next year). Great list. I added it to my Travel bookmarks. I grew up less than 2 hours from here, and have been to almost all of these, but you have a couple I was unfamiliar with…Thanks! I love San Diego! I live nearby, so I recognize a ton of these places! So much fun and such gorgeous weather! I know where we will go on our next Family Vacation! Looks like so much fun! I’ve always wanted to go to San Diego! Especially to the zoo and now I have to check out La Jolla Cave!